Whichever way you look at it, long-haul flying is tough. For many, like us, it’s something we have become accustomed to. As Australians, our geographic isolation from most of the world means we have to travel long distances to get to much of the Northern Hemisphere. A short flight for us is to Asia, taking anywhere between 7.5 and nine hours in most cases. Ask a variety of travellers, and all will have their own version of what constitutes long-haul. For us, it’s really anything that keeps us in the air or in transit for 24 hours and over. Over the years, we have generally made the 24+ hour flights into Europe in successive flights, preferring to get to the end destination as soon as we can. These days, we are starting to look for different options to break the trip up a little. It doesn’t always work but it’s great when it does. On our most recent flight, we had set ourselves up for an epic flight. The less favourable timing of departures, long layovers, changing time zones and multiple stops extended the journey. From the time we left our home in Australia until the time we arrived at our apartment in Lisbon, it would be 47 hours. I think in anyone’s mind, that’s a very long time. We had also already been up for a full day in Australia before our initial departure at 2 am so this added to the journey from a physical sense. To ensure we kept some of our sanity, we elected to spend our 16-hour layover in Hong Kong getting some rest. We’d been to Hong Kong before and didn’t feel like running around just for the sake of it. We really wanted to find a hotel that was close to the airport, to avoid having to get into the city. However, from previous experience, we’ve found it difficult to find hotels that offer a ‘day rate’. A day rate is when you check into a hotel in the morning and leave in the afternoon or evening of the same day you checked in. There is no overnight stay. This makes it a little unusual as the majority of hotels are set up with an afternoon check-in, morning checkout model. Googling day rate hotels isn’t easy and all hotel booking systems will always assume an afternoon check in when you search for availability and prices. 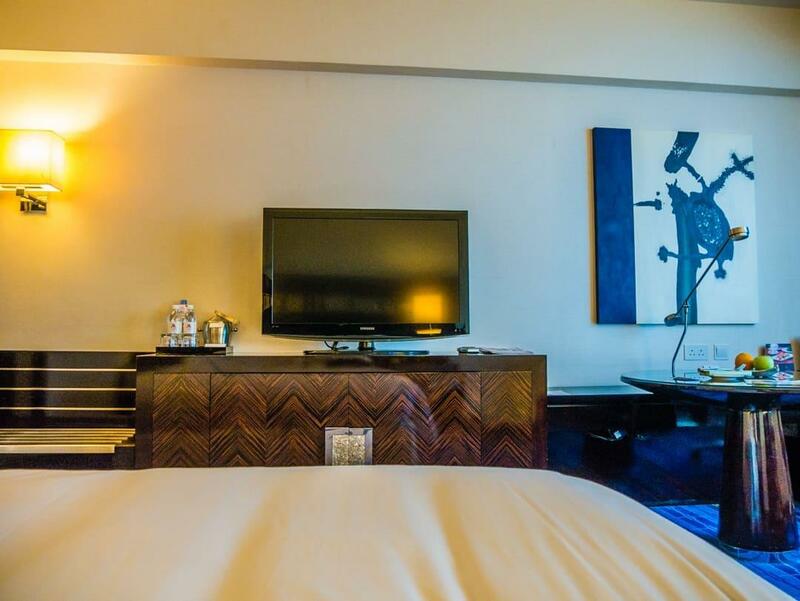 We were therefore very thankful when we found the Hong Kong SkyCity Mariott Hotel, located at the Hong Kong International Airport, and more than willing to accept day rate customers. 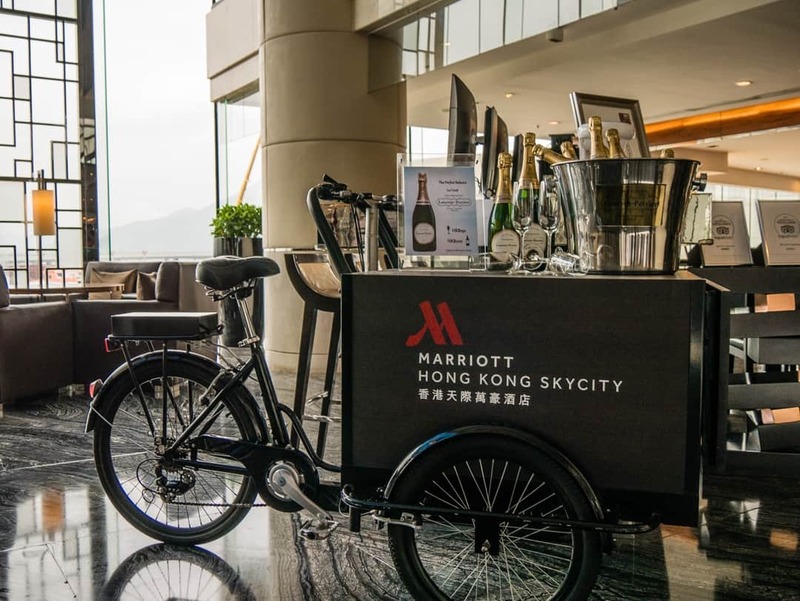 Located on the edge of Lantau Island, the Hong Kong SkyCity Marriott Hotel is the best hotel to stay at near the Hong Kong International Airport. Only a few minutes drive from the airport itself, the hotel has an outstanding location if you are looking for convenience. 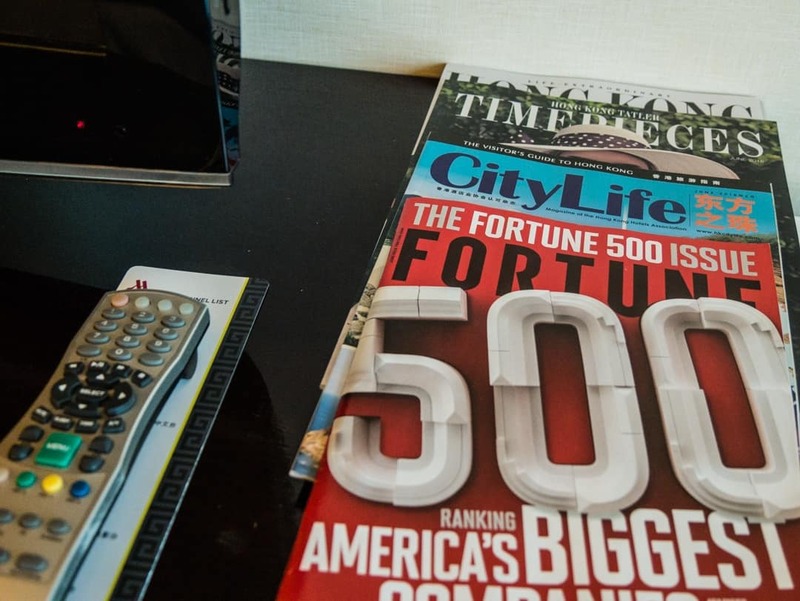 If you are looking for a luxurious stay with access to all the services you would expect in a hotel, then the SkyCity Marriott is perfect for that also. 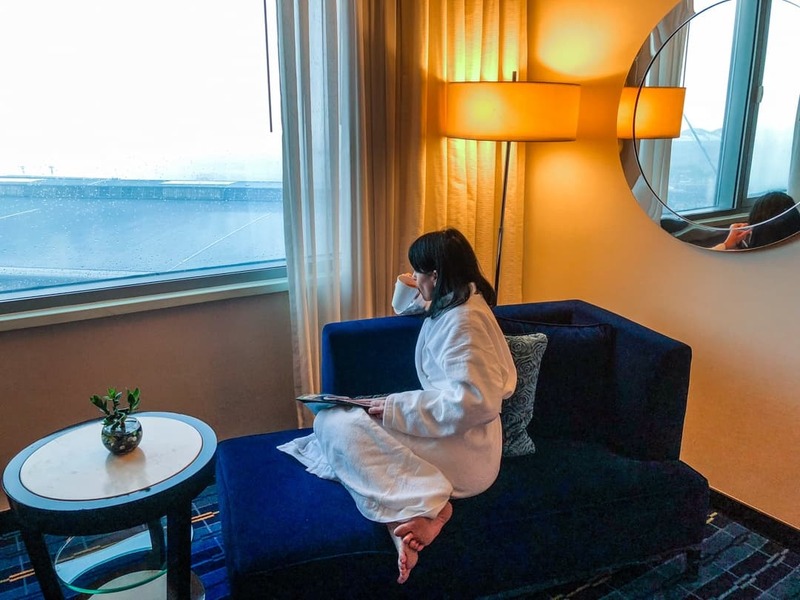 The Hong Kong SkyCity Marriott Hotel is the most high profile hotel on Lantau Island and offers luxury accommodation to travellers, travellers in transit and business people. All of the 658 rooms have views of some kind, allowing you to choose depending on your preferences. For those who love plane spotting, you can secure a room with a view of the aircraft landing at the Hong Kong International Airport. For others with less of a fascination for aviation, there are sea or island views. Best of all, it’s a short ride to and from the airport, making transit a breeze. It’s still a perfect hotel for a short stay in Hong Kong also, with the city only 28 minutes away by train. For anyone travelling long distances, especially with long layovers, the rooms are most likely the priority for your stay here. Having already been up for a day and a half without sleep (I’m not a plane sleeper! ), the comfortable king size bed was all inviting. We had a deluxe room, on a high floor, with views of the aircraft. Just perfect for us to watch as we sat and had a cup of tea on the chaise lounge in our room. 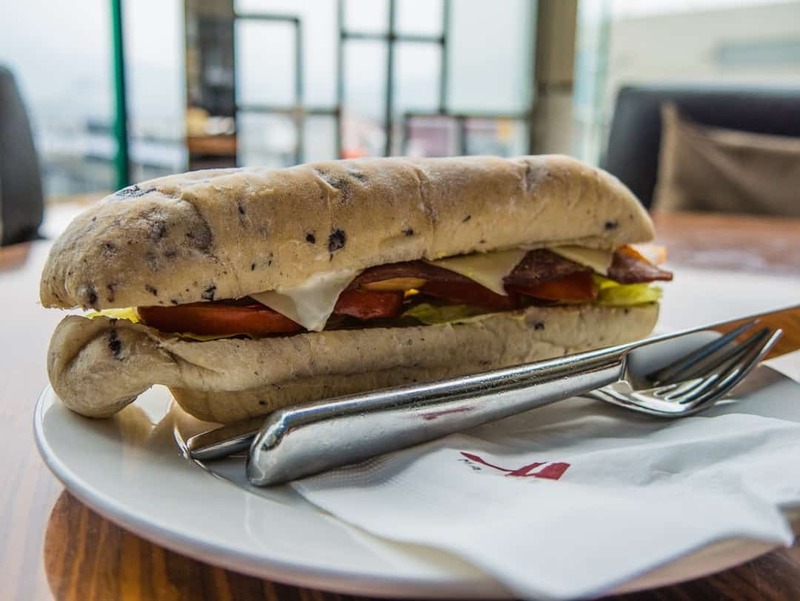 Rooms at the SkyCity Marriott range from the deluxe, to a premier room on one of the higher floors, through to rooms with executive lounge access and vice presidential and presidential suites. As mentioned earlier, the type of view can also change. Our room was incredibly spacious, much more than we thought it would be. At 35 square metres, there’s plenty of room to spread out and use the other inclusions like the office workspace and the sitting area. 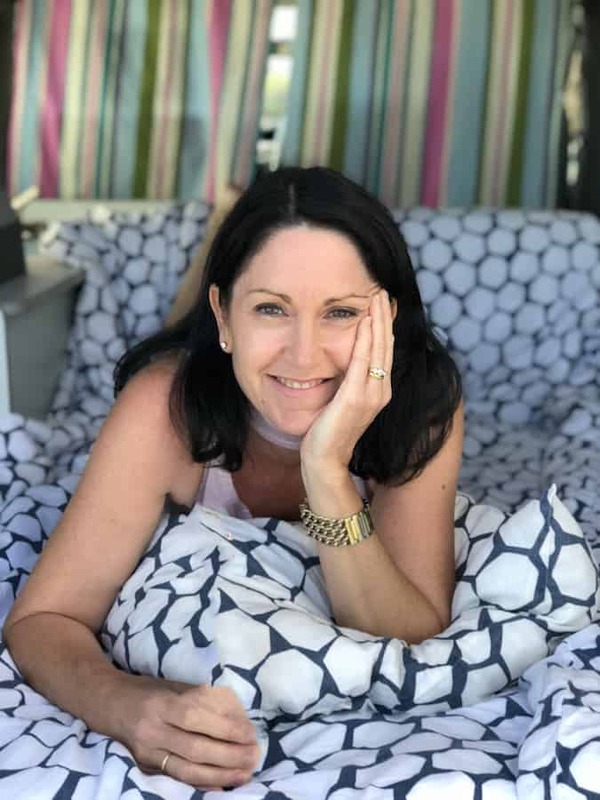 The beds are oh-so-soft, with fluffy feather doona and a pillow-top mattress allowing you to sink into the bed. Despite being soft on the top, it’s a firm mattress which provides good support. Lighting in hotels is always low and yellow, but there are two very good reading lights located near the beds if you like to read. One of the concerns that travellers who have never stayed at an airport before might have could be about the level of noise. All rooms at the SkyCity Marriott are soundproofed. Despite being able to see the planes land from our room, I never once heard any aircraft noise. There is also quite a bit of construction currently being undertaken around the hotel. Similarly, we didn’t hear any of this noise either. Important to note: When you are trying to get some rest or sleep during the daylight hours, it’s important to be able to block out the light. Our room had excellent block out curtains to assist with this. As an added precaution, we always travel with eye masks. If you like the bedding enough, there’s a brochure in your room complete with an order form where you can buy your favourite products for yourself. The bathroom is equally roomy, with a full-size shower, delivering excellent hot water and water pressure. ‘Thann’ toiletries are provided both on the vanity and in the shower. The full-size shower delivers an equal measure of excellent hot water and water pressure and is wheelchair accessible. A built-in seat at the end of the shower also assists those who have mobility issues or for the likes of me, allows me to sit there whilst enjoying the hot water. A chaise lounge provides a perfect location for looking out the window or just a chance to relax. If working is on the agenda for your stay, then the office space provided is useful. I’d prefer a desk space that is a bit more business oriented rather than the round glass dining table, but it is still usable. Power points and ethernet ports are also close by. Wifi is, of course, provided free of charge as part of your room access. 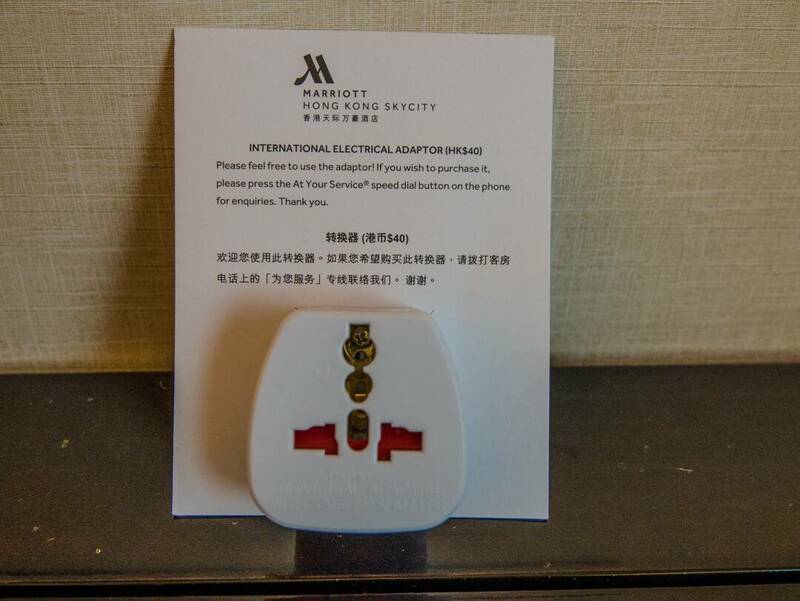 In a thoughtful touch for travellers, an international adapter is also provided, just in case you forgot your own. Whilst it is quite common to have bathrobes in hotel rooms, the quality of them can always be a bit hit and miss. We loved these robes especially as they were a soft waffle weave on the outside and fluffy towelling on the inside. Perfect for lounging on that chaise. Safes are very important in hotel rooms and this one was very easy to use, with a simple digital pin code required for closing and opening. A plentiful supply of coat hangers that can actually be removed from the rail is also provided. Nothing annoys me more than those hangers you can’t get off the rails. A full-size ironing board and good quality iron, plus an umbrella and shoe shine kit can also be found inside the wardrobe. There is a flat screen tv and magazines for your entertainment. 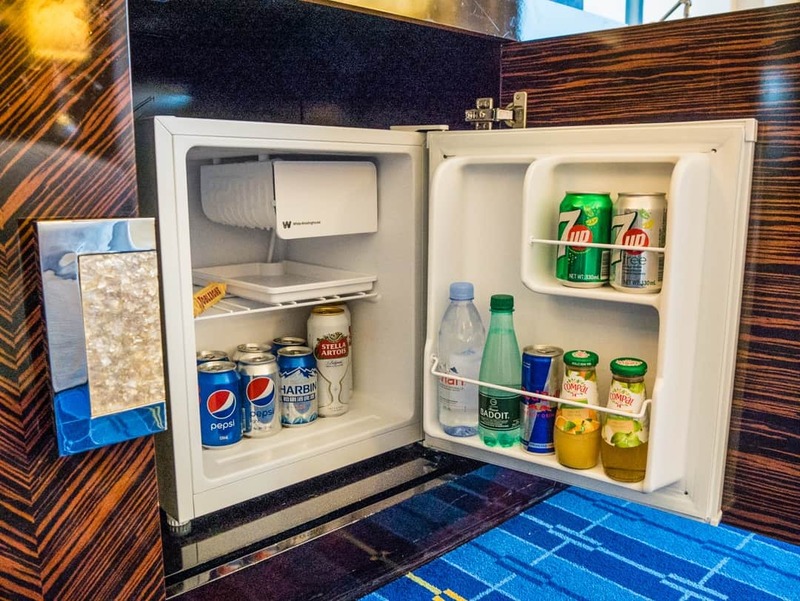 A well stocked mini bar and good quality tea/coffee provisions round out the amenities. What better way to indulge, unwind and get prepared for the next leg of your journey than to unwind in the spa. With services such as facials, massages and manicures, there’s plenty of pampering on offer. If you are seeking to get your blood moving, the lap pool or gym are great places to start. Whilst we didn’t require the use of the business facilities, this hotel is set up well to encourage and welcome business travellers with its boardrooms and meeting rooms. There is plenty of variety here, but the aspect we loved the most was that despite this being a luxury hotel, the vibe was definitely casual. This was great for us as being in transit, all of our luggage was checked through all the way to our final destination. I can’t take a lot of extra clothing on board with me as most of my onboard backpack was full of my equipment. I wasn’t therefore in any state to be able to dress up for dinner. Thankfully everything here is very easy going, making it another great reason to choose this hotel for your stopover. Upon our arrival, we had a quick bite to eat at Java+, located on the ground floor of the hotel. Java+ is a coffee shop serving basic sandwiches, cakes and pastries. Later in the evening, prior to dinner, we spent some time relaxing in The Lounge. It’s a testament to how well rested I was after being able to spend some time here that I looked as relaxed as I did here. The Lounge also has TV monitors showing flight information, allowing you to keep an eye on your upcoming departure. SkyCity Bistro is the buffet restaurant, catering to all-day dining. It was here that we had our dinner prior to having to return to the airport. Being away from mainstream Hong Kong, it is important to have good dining options. The Skycity Marriott delivers with great variety here, even having specially themed dinner events from time to time. Man Ho Chinese Restaurant and the Velocity Sports Bar and Grill reside on the first floor. There is also some major infrastructure changes underway in Hong Kong, which will also make the SkyCity Marriott Hotel one of the best locations for visiting Macau. Currently, you must take a ferry from Hong Kong to Macau. However, the Hong Kong – Zhuhai – Macau Bridge is being built right near this hotel. From the windows of the SkyCity Bistro and The Lounge, the new buildings taking shape can be seen. The bridge and carriageway is being built on the edge of the Lingdingyang channel of the Pearl River Estuary and when built will be approximately 30 kilometres long, all above the water. This sea crossing will link the Hong Kong region to the city of Zhuhai in Guangdong Province with Macau. This will improve the transit times for commuters wanting to move between these areas and also improve productivity in the transport industry. Specifically, it will make getting to Macau for visitors and tourists so much easier. A new Immigration Centre is being set up directly opposite this hotel. Once completed, this hotel will be in the best location for those wanting to make a short trip to Macau. AsiaWorld-Expo, one of the major business, exhibition and convention centres in Hong Kong is also located nearby on the Lantau Island precinct. If you are travelling to Hong Kong for any events at the Expo then this hotel is the best option for accommodation also, given its proximity. Access is via a covered walkway directly from the hotel. The Hong Kong SkyCity Marriott Hotel is located at 1 Skycity Road East, Hong Kong International Airport, Lantau. There is a large shuttle bus that operates from Terminal 2, Level 3, Bus bay 29-30. The bus bay numbers are clearly signed and the bus shows the hotel name at the front. From the hotel there is also the opportunity to arrange for the hotel shuttle. The Airport Express can be taken from the airport station to AsiaWorld Expo station which is only one stop. If you are looking to find a Hong Kong airport hotel, one in which you can hire as a day room or stay more conventionally overnight, the Hong Kong SkyCity Marriott Hotel is a perfect choice. We were so pleased that we broke up our flights by using this hotel as a layover option when passing through Hong Kong and would most definitely consider doing this again. Being able to have a sleep, rest and to eat well in such beautiful conditions, as well as not having to travel more than a few minutes to get to and from, set us up very nicely to recommence our journey. For more of our hotel reviews in Asia and Europe visit our Stay with Me page. Beer and Croissants were guests of the Hong Kong SkyCity Marriott Hotel. All editorial content is completely independent and all thoughts and opinions are our own.